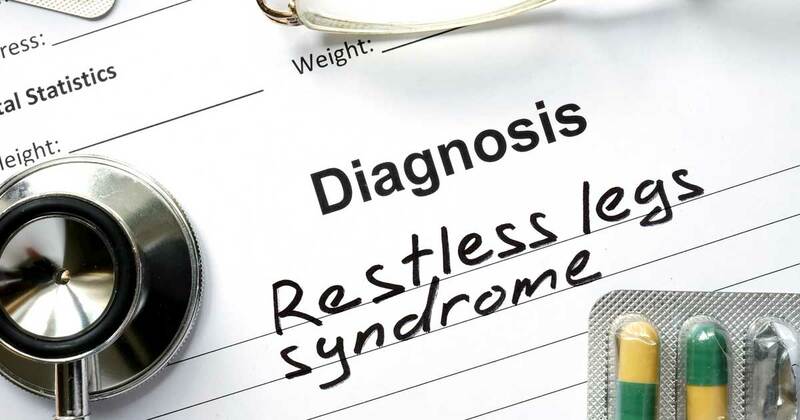 Restless Leg Syndrome, also abbreviated as RLS, is a neurologic disorder associated with involuntary movement of limbs is called Willis-Ekbom Disease. Discomfort includes burning, twitching or even gnawing sensations in limbs resulting in an irresistible desire to keep moving your legs (less rare but for some, their arms or other parts of their body) in order to relieve those sensations. But, it is not life-threatening and there are natural ways to curb these symptoms with naturopathic and homeopathic options. In order to manage your symptoms you will need to check your lifestyle when living with RLS. Identify activities or habits in daily life that are contributing to worsening of the symptoms. More sedentary lifestyles can facilitate more restlessness in your limbs. If your way of life or work is characterized by more sitting at a desk, take a break every hour to stretch out your limbs. Magnesium is required by the body to push excess calcium out of the cells so that muscles can relax. Unlike other minerals, magnesium is easily absorbed through the skin by using magnesium oil or epsom salt baths. The body also requires zinc / copper, folic acid and iron. Folic acid can be consumed from dark leafy greens. Smoking is enormously harmful to your health as it can affect every single organ. There is no easy way to smoke. If you want to calm your RLS, you will need to significantly reduce or altogether quit smoking. It is a known fact that RLS is aggravated when people are stressed. Norepinephrine, a chemical required to moderate the brain’s response to stress is released through basic activity. Yoga, meditation and even breathing exercises can help sustain better health when stressed. Choose activities that keep your mind engaged and boost your brainpower like reading a book or participating in thought provoking discussions when sedentary. Engaging in physical activities like stretching, walking, jogging or running on a daily basis can assist those suffering with RLS. If you don’t enjoy any of those, find an outdoor workout that is more suitable to your personality, like working out or even rock climbing at your gym. Try alternate methods like acupressure or acupuncture to correct your energy imbalances and promote relaxation. Heating pads or cold compress can relieve RLS in some people as it relaxes the muscles. Homeopathic alternatives are safe and non-addictive unlike prescription drugs. The other benefit being medication is individualized. The patients’ unique genetic composition is taken into consideration before providing treatment. Arsenicum album is a solution prepared by diluting arsenic trioxide and is used to treat patients who cannot lie still and often complain of cramps. On the other hand, patients who have RLS with numbness, tearing pains in the joints and knee joints that are subject to cracking sounds are usually given the homeopathic remedy Causticum. People who have respiratory congestion or a history of arthritic, paralytic or rheumatic complaints are more susceptible. RLS characterized by jerking, twitching or even tearing pains waking up the sufferer between 2 am and 4 am. are administered Kali carbonicum for relief. Lycopodium is useful for treatment of RLS symptoms, commonly pronounced between 3 pm to 8 pm, where patients end up with their feet sticking out from under the bedclothes. The type requiring Magnesia carbonica experience weakness of calves along with cramping, pains and jerking of legs. Their symptoms usually worsen with weather changes. Type of RLS benefiting from Phosphorous are those often tired, frequent thirst for cold drinks and have a marked tendency to haemorrhage. Their symptoms include cramping of the toes, numbness, jerking, and stiffness of the joints. Rhus tox are essential for people with RLS symptoms that need to constantly move their legs and the first movement is often excruciating. Sepia is useful for women suffering from RLS with a history of weakness, congestion, uterine disorders, yellowing of the skin and depression. They experience twitching and jerking in limbs frequently at any time of the day. The RLS symptoms requiring to be treated by homeopathic remedy called Tarantula hispanica include extreme restlessness with jerking, numbness and twitching. This restlessness can actually be modulated by vigorous moves like dancing. Doctors suspect genes as a possibility of one of the reasons for RLS; maybe a family member had the condition.